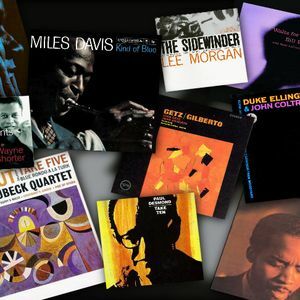 I did this mix a few years ago when I found a list compiled by listeners of jazz24.org & NPR Music. It&apos;s kinda fun to read some of the comments because the listeners get very passionate about the list. Much of the list is very recognizable & some of the tracks I&apos;d never heard before, so it was great to dig in & discover music I probably should have known about for a long time. So glad you enjoyed the mix! Wow! If I did a jazz compilation it would be quite similar! Thanks so much for listening an sharing your thoughts on the mix. I would make these mixes for my own amusement so when folks like you enjoy them as well it&apos;s a joyful bonus. Cheers! I agree! Thanks for listening!